Young Gifted and Black: EPMD'S Eric Sermon: "There's No Bringing NY Hip Hop Back"
EPMD'S Eric Sermon: "There's No Bringing NY Hip Hop Back"
I wholeheartedly agree, I interview dope mc's all the time from New York who have not received the shine from NY radio as they should. Check out our Stream here on the blog for our latest interview on "How We Do It Radio" with Brooklyn FemCee Candis "She Is Hip Hop" White! 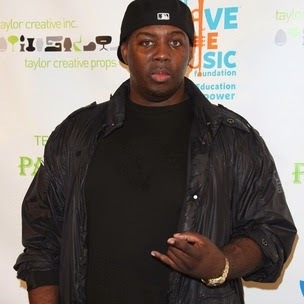 Explaining why he doesn’t like to hear Hip Hop artists make claims about “bringing New York back,” EPMD rapper and producer Erick Sermon spoke with HipHopDX about his experience of living in Atlanta for more than two decades.